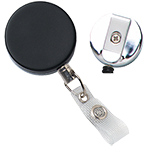 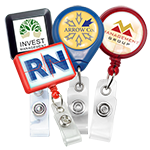 Badge reels don't have to be boring! 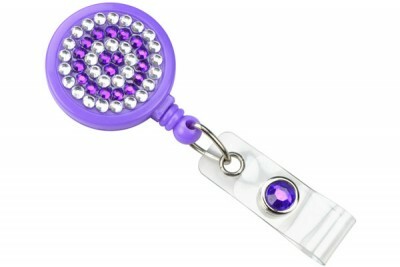 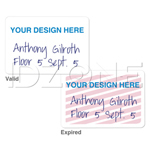 Spice up your card-carrying program with our neon purple rhinestone badge reels. These reels feature alternating rows of clear and neon purple sparkling rhinestones on the front for a fun, attention-getting alternative to plain badge reels. 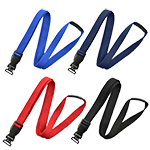 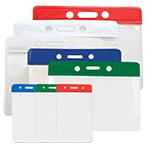 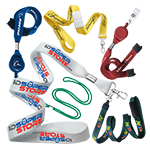 A slide-type belt clip makes it easy to attach the reel to the wearer, while a handy strap end-fitting makes securing a card a breeze.